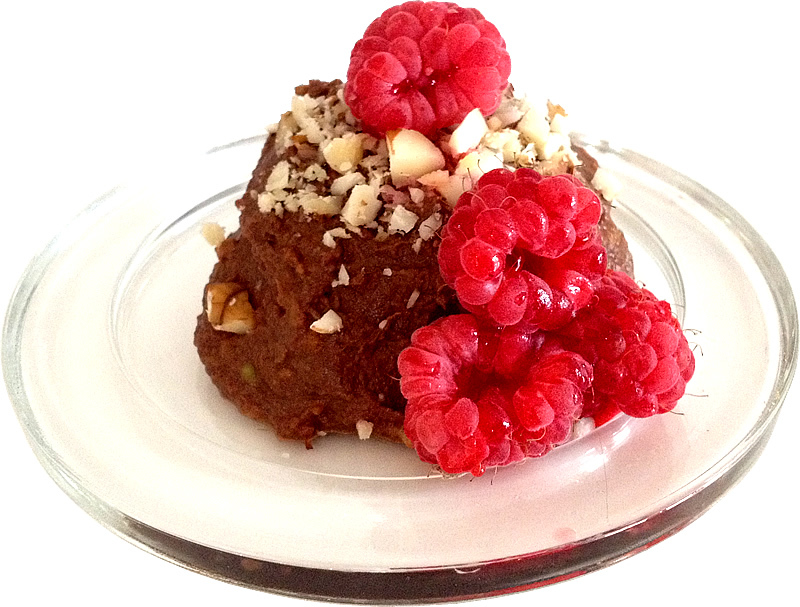 This naturally sweet treat is perfect for those moments when you simply want something sweet and preferably chocolatey… imagine all of that and a bunch of vitamins, minerals, fibre, anti-oxidants… even the cinnamon regulates blood sugar… if this pudding was any healthier you probably wouldn’t want to eat it! Fill a pan halfway with water and bring to a boil. When the chocolate is cooled but still viscous, add the mashed potato, banana, avocado and chopped dates. Mix together really well until all ingredients are thoroughly mixed. Transfer into small bowls or spoon onto plates and refrigerate until slightly set. Serve chilled with fresh fruit, chopped nuts and no guilt.